Our meat sauce recipe has been passed down from owner to owner since the store opened in 1941. For the first time in the store's history you can now purchase the meat sauce! The meat sauce is homemade and is always fresh. 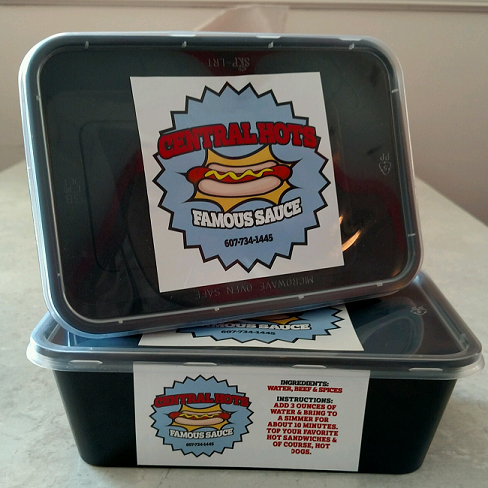 Impress all of your friends with our delicious meat sauce at your parties and be sure to tell them your got it at CentralHots. Feel free to contact us if you have any questions or would like to order some meat sauce.